In honour of Mental Illness Awareness Week 2018 and the forthcoming legalization of cannabis in Canada, EPION (Early Psychosis Intervention Ontario Network) and the SSO (Schizophrenia Society of Ontario) have partnered on a social media campaign to highlight some of the research evidence linking cannabis and psychosis. 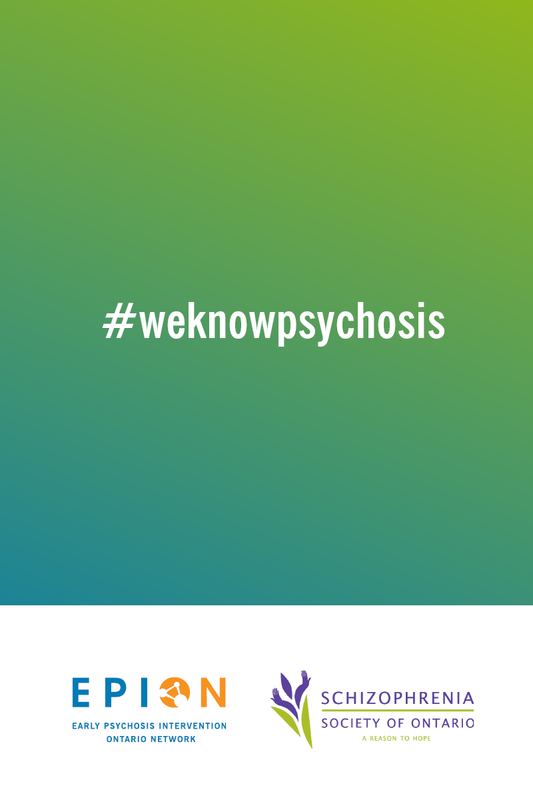 The #weknowpsychosis campaign will run for the month of October 2018. Individuals and organizations who are interested in supporting this campaign can download the social media kit here.